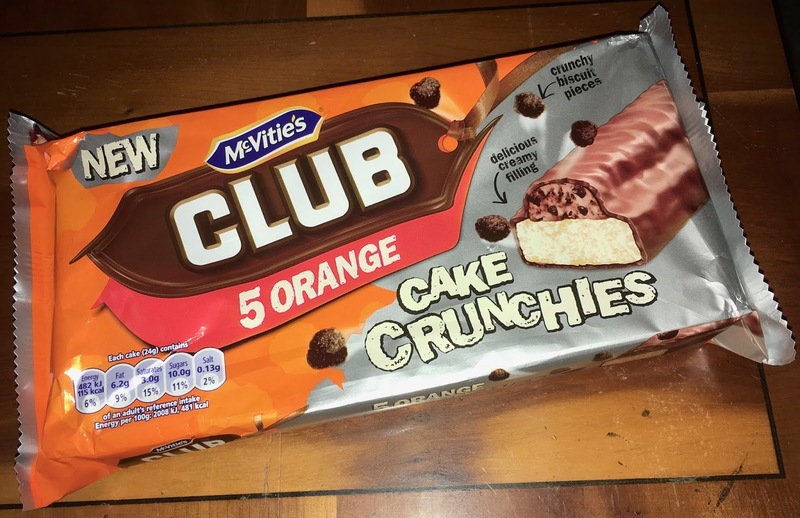 This new product from McVities is a cake bar with the crunch of biscuit; McVities Club Orange Cake Crunchies. Club bars are one of the big brand biscuit products for McVities and they have tried to take the Club biscuit and turn it into a cake bar. I like fruity flavour and the second the outer wrapper came off I could pick up on the sweet citrus scent. The cake bars are individually wrapped so perfect for a treat in the lunch box. 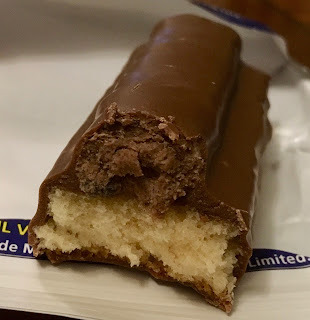 The bars have a thick layer of spongey cake a milk chocolate coating and a fondant top which include “crunchy” biscuit pieces. Now there were some biscuits bits, and it did add a little to the texture but it would be a stretch to call this properly crunchy. The biscuit bits only added a little bit of texture, albeit a nice bit. What I did love was the orange flavour, the sweet citrus tones were lovely and mixed wonderfully with the milk chocolate. I thoroughly enjoyed the flavour, but the Club biscuit tie in was a little weak. 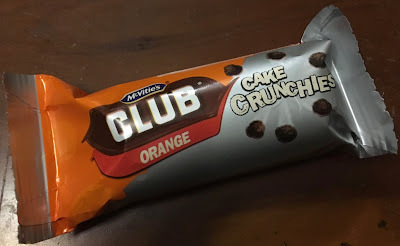 I’m still looking forward to putting these McVities Club Orange Cake Crunchies in my lunch box over the next few days.